Do you have a clear personal business goal? No?! No worries, you are not the only one! 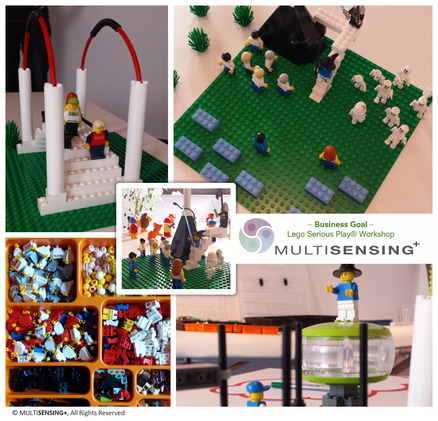 We had a great Lego® Serious Play® Workshop this Saturday about personal business goals and perspectives. Four hours filled with different working levels/thoughts, treating the essence of 'My Business World'. An easy step for some, but it was also a challenge to others as it took them out of their comfort zone. Brick by brick, those who thought didn't have a clue about their goals, were able... to start designing first ideas. A big and to a certain extent, unexpected step! When do we take about 4 hours to think about and construct your own personal business goals?! The Lego® Serious Play® Workshops gives you time for personal reflexion, helping you move forward with lightness and creativity. Interested to design your goals or more? Contact me to check out new dates or discuss your need!